Scroll to the bottom of listings for apartments in Los Angeles, and you'll often find a list of things landlords won't accept: No pets. No smoking. And no Section 8. Section 8 is a federally funded program that provides housing assistance vouchers to low-income renters. But most landlords in the city are turning away people who use those vouchers. It's not a new problem. But it has been getting worse in Los Angeles. Today, nearly half of the people who get a Section 8 voucher in L.A. will end up losing it because they can't find anyone who will rent to them. Now, local officials want to prohibit landlords from rejecting those vouchers. Read more: LA Will Spend $30M This Year On Homeless Sweeps. Do They Even Work? 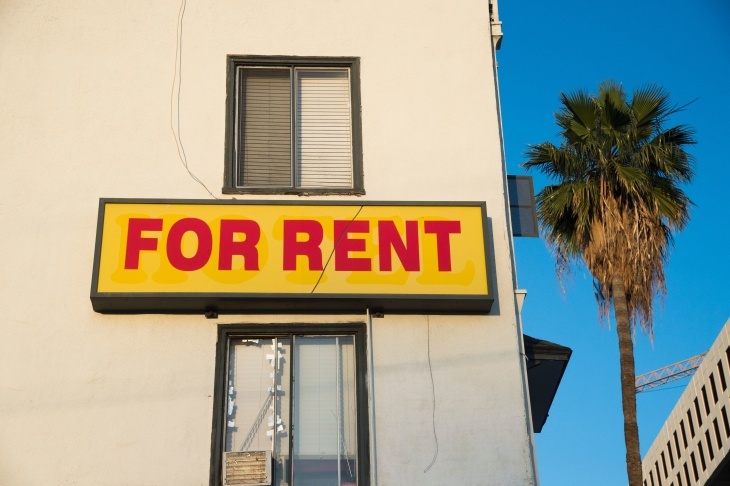 On Wednesday, the Los Angeles City Council's Housing Committee moved forward with a proposal that would stop landlords from discriminating against applicants based on their "source of income," including housing vouchers. If the new ordinance is approved, landlords would no longer be allowed to take an applicant out of consideration solely because they participate in programs like Section 8. "We just want landlords to consider all tenants the same, whether they have a voucher or not," said Carlos VanNatter, the Section 8 program director at the Housing Authority of the City of Los Angeles. Faced with a severe shortage of affordable housing across the state, elected officials have introduced similar ideas this year at the County level and in a state Senate bill. They say such protections are needed to prevent more people from falling into homelessness. WHY IS IT SO HARD TO FIND A PLACE? Low-income renters who qualify often wait for years to get on the Section 8 waitlist, and then it can take even longer for them to obtain a voucher. Those who finally manage to get one have six months to find a landlord who will accept it. In 2016, about 40 percent of participants in LA were unable to find a place before their vouchers expired. Now, that's up to 47 percent, according to the city's Housing Authority. In a voucher program for homeless veterans, even fewer renters have been able to secure housing. Jean, who is currently homeless and living in a shelter, waited years to receive a Section 8 voucher. She said she typically spends eight or more hours a day looking for an apartment. For Jean, every morning starts with checking online listings for apartments catering to Section 8 participants. She searches Craigslist. She contacts housing agencies. She's tried calling numbers listed on "For Rent" signs throughout the city, only to be told they don't take Section 8. Earlier this week, she took three different buses to see an apartment that looked promising. But when she got there, she found a water meter problem that would have failed an inspection required by Section 8. Her voucher will expire in July. "I truly thought I would not be the one to lose their voucher," Jean said. "And here I sit, wondering if I'm about to lose mine, and be in a tent forever." Jean and other voucher holders are competing over a dwindling supply of available housing. According to the Housing Authority of the City of Los Angeles, the number of landlords participating in housing assistance programs has declined by seven percent since 2014. "With the shortage in housing stock in the City of L.A. and the increase in luxury rentals in upscale buildings, the availability of affordable housing is becoming scarce," the Housing Authority wrote in a recent report. WHY DON'T L.A. LANDLORDS TAKE SECTION 8? Many landlords say programs like Section 8 are poorly run, subjecting property owners to extra layers of bureaucracy, costly delays and time-consuming inspections. And due to low vacancy rates, landlords can usually find another tenant to move in more quickly with less hassle, said Dan Yukelson, executive director of the Apartment Association of Greater Los Angeles. "You just don't have time to deal with all the regulation and red tape," he said. He thinks if voucher programs were streamlined and included incentives for property owners, participation would go up. Yukelson said, in his view, City Hall's approach would force landlords to comply with a broken system. "You raise the risk profile of owners who could possibly find themselves in litigation or prosecution by the city for not accepting a Section 8 voucher," Yukelson said. "Which they may not have accepted for very good reasons." There is some research suggesting that barring landlords from discriminating against voucher holders could help more low-income renters get their foot in the door. The Urban Institute put out a report last year looking at housing voucher acceptance rates in five cities, including Los Angeles. The researchers found that 76 percent of L.A. landlords refused to take vouchers. But in Washington, D.C., which has protections on the books for renters using vouchers, only 15 percent of landlords denied them. If Los Angeles passes a similar ordinance, it would join other California cities that already have such laws, including Berkeley, San Francisco, Santa Monica and San Diego.